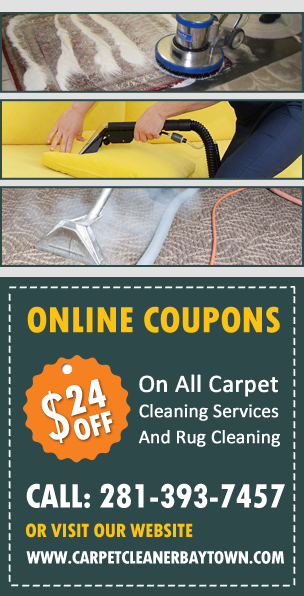 At Carpet Cleaner Baytown Texas, we provide you with the most advanced carpet cleaning in the Bay Town area. On those common occasions where you need a deep clean without using any chemicals and dangerous products, were here for you to clean your whole house using green eco-friendly materials only. No matter what you need, our professional and trained cleaners will clean your entire home in the safest manner possible to ensure your satisfaction. We’ll get your home looking brand new again with our dedicated team. We take pride in having the most advanced cleaning techniques in Bay Town, and we’ll prove it to you. Carpet Cleaning – Everyone needs their carpets cleaned to let their house look and feel more fresh and new. 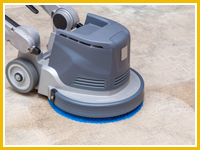 Our professional and skilled cleaners in Baytown TX have a wide variety of the most efficient carpet cleaning techniques. From removing all stains including your wine, ink, coffee, pet, and more. Using only our state of the art green cleaning solutions, our dedicated professionals will help restore your carpet’s look back to when it was brand new making a major difference in your home look and feel. Furniture cleaning – There are many different types of furniture we all own and each one must require a completely separate cleaning tool and product. Our trained know how to recognize which method and product fits each furniture in order to provide the best outcome. Not only do we clean your basic furniture but also varieties from wood furniture, leather, antique, microfiber for your living room furniture, office furniture, bedroom rustic and retro furnishings. Upholstery cleaning – With our cleaner expert skills, we provide all kinds of upholstery cleaning services. Upholstery is a different and more detailed task since every material will react differently with each product. Be assured, we always inspect and test out all products before staring on the cleaning process. With all the knowledge and experience our personal techs have dealing with all types of different cleaning materials, providing the best protection for your fabric there is. Steam cleaning - Steam cleaning is one of the most effective way of powerful deep cleaning we provide you with. 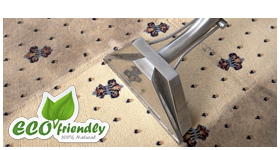 We have only the most advanced steam cleaner machine strong carpet sanitization. We use hot and cold steam to provide the best quality cleaning vapor for your entire inside or house. Carpet Rug Cleaning – For your rug cleaning we specialize in working with any of your valuable and expensive Oriental, Persian, and basic rugs. No matter how extravagant or simple your rug is, our professional cleaners in Baytown Texas will steam clean them all, keeping your rug’s maintenance much longer. All of our equipment used in our company is specially designed for deep cleaning, protecting and restoring your rug's original look and feel. At Carpet Cleaner Bay Town, we strive to always provide you with the best quality of cleaner service using our Eco-friendly and green cleaning methods. We put all our focus on keeping your homes and offices as clean as they can be and work on them as if they are our own. Most importantly our green products are healthier without any dangerous chemicals. We’ll be sure to get rid of all dust and allergens without any health hazardous chemicals by using our biodegradable materials which are safe for you and your families and pets. Give us a call today for any questions or information about our eco-friendly cleaning services or to schedule an appointment with one of our expert staff.